In two weeks, Steffi and I will change from high heels into hiking boots and travel through Finland – Tuska Festival will be the highlight! 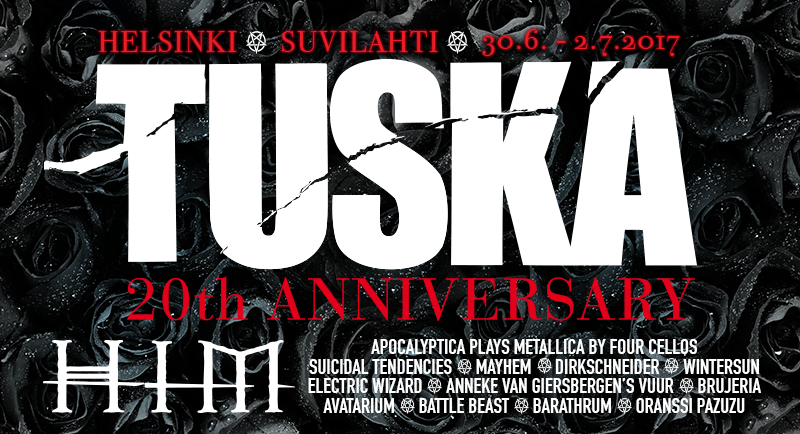 Tuska 2017 – 20th anniversary. When Steffi and I thought about Tuska, we decided that we should spend some days hiking in Finland. From my point of view, Steffi is the hiking pro! So I booked flights, car, and accommodations and left the organization of the hiking trips to her. My only wish is to visit Lake Bodom, which is in Espoo just a short drive away from Helsinki. 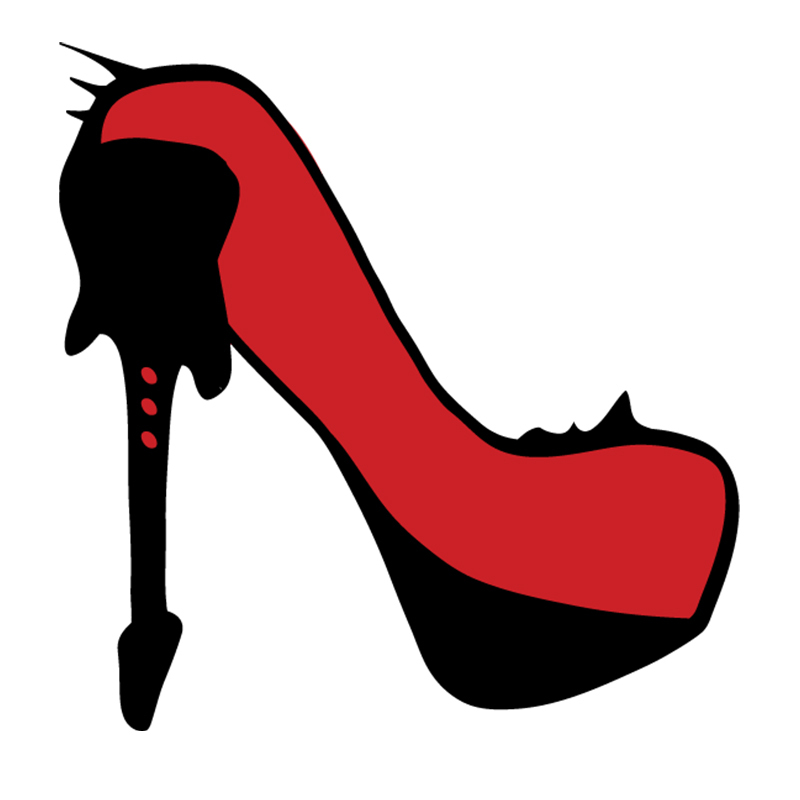 We hope to be able to let you take part in our journey via the Metal & High Heels social media! Make sure to follow the profiles linked in the navigation bar. More than bands to watch. Unusual for a summer festival, Tuska is more or less in the center of Helsinki, at the Suvilahti event field. The pre-party is held at Tavastia, a club/concert hall even I have heard of before. Another special I’m really looking forward to are discussions about specific topics: Researcher Toni-Matti Karjalainen will discuss critical headbanging and respectful moshing with STAM1NA guitarist Pekka Olkkonen and Niall Scott, the British Scholar and Chair of International Society for Metal Music Studies (didn’t even know something like this exists!). Another discussion is about the aesthetics of darkness in modern metal and two metal composers will talk about their work as game music composers – very interesting for me as a gamer! Last but not least there will be a discussion about metal and sports with tennis star Jarkko Nieminen, CHILDREN OF BODOM-bassist Henkka Seppälä and Eero Sipilä of BATTLE BEAST. BATTLE BEAST will also play at Tuska on Sunday and I’m curious to see them playing songs from their new album “Bringer Of Pain”. Maybe they’ll also play their funny 70s style song ‘Touch In The Night’! Concerning bands, Tuska is a wild mixture of bands I used to listen to and bands I always wanted to see live but never managed to do so. SONATA ARCTICA are kind of heroes of my teenage years, I even saw Timo Rautiainen & Trio Niskalaukaus once or twice, APOCALYPTICA were well-known for their Metallica covers and had some good albums, too, and I liked to listen to SOILWORK. On the other hand, there is HIM, the headliner of headliners, which I didn’t really listen to that much… I never expected to see them live one day and I’m really looking forward to their gig and to realizing how many songs I really know! And SUICIDAL TENDENCIES will be so interesting, too! And I can’t remember having seen MASTODON on stage yet – must be a blast! If you look at the line-up, Tuska is a weird mixture of punk, gothic, technical metal (DEVIN TOWNEND PROJECT!!!) and stars of the metal scene like SABATON, AMORPHIS, TRYPTICON and INSOMNIUM. The festival is so versatile – it’ll be a rollercoaster of emotions. I also have to mention AVATARIUM as a band I’m looking forward to seeing – Steffi likes them a lot! 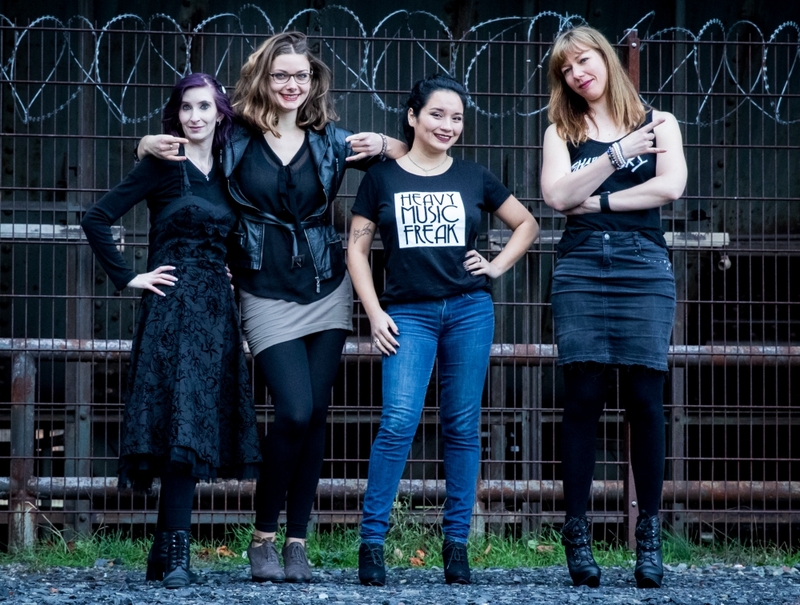 And did I mention, Anneke van Giersbergen will perform with her new project VUUR and an acoustic set as well. I hope she’ll also share the stage with Devin Townsend, since both play on Friday. We already have interviews confirmed with Anneke, AVATARIUM and AMORPHIS. We hope for more to come! You’ll find them in one of our next podcasts. Speaking of podcasts: On Tuesday, June 20th, our next podcast episode will be out and we are talking about Tuska and our plans in Finland. Of course, I cannot mention all the bands who will play at Tuska this year, but be sure that it’s definitely worth the visit! You can also check the schedule for more information.